Northern Ireland's The Bonnevilles are scheduled to release their third full-length studio album, Arrow Pierce My Heart on March 18. You can pre-order it digitally HERE. A limited edition colored vinyl will be available through Alive Naturalsound Records…looking forward to that. Check out "The Whiskey Lingers" and "I've Come To Far For Love To Die" from the album below. 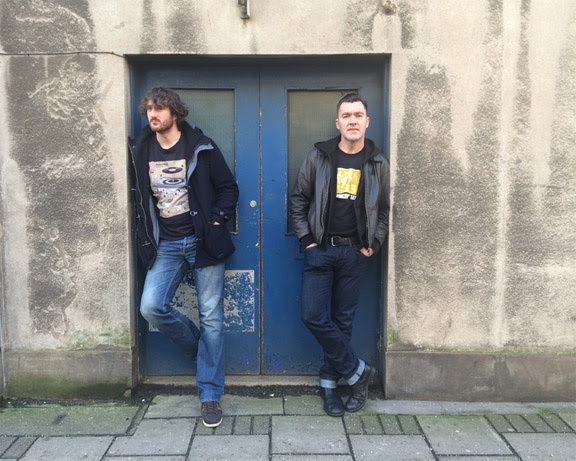 The Bonnevilles are a Garage Punk Blues duo straight out of Northern Ireland featuring Andrew McGibbon Jr. on vocals & guitar, and drummer Chris McMullan. The twosome will be unveiling their explosive third full-length studio effort Arrow Pierce My Heart later next month. With two studio albums already under their belt, the band has become one of Europe's top alternative blues acts, sharing the stage with bands such as Left Lane Cruiser, James Leg, Johnny Walker and Guadalupe Plata, and appearing at both The Deep Blues Fest in Clarksdale, Mississippi and its counterpart in Germany. Rick Saunders on his Deep Blues blog describes them as "deep, dark punk and stylish hard roots music with good pop-sense and without a whiff of retro poly stink."